Right at the start, let us identify the terminology. E-shop is a specific web solution with a clear structure and purpose - to sell goods online. E-commerce solution - is a virtual toolbox that will help sell goods and/or services, do the billing and analyze some statistics. Delivery of services online does not always adhere to the laws applicable to e-shops. E-business is an e-commerce solution + online marketing, human resource management, brand promotion and other factors that lead to only one – a successful online business. Synergy Effect develops e-business for everyone who have a serious approach to their business, sees the long-term prospects, and is planning to make money, or even to expand to the markets abroad. This is not only the name that obliges (Synergy Effect creates a value added to your business), but also the situation in the market today, when there is a plenty of e-shop developers-amateurs who add a lot of chaos and unpredictability to the e-business. We work only with tested technical solutions (OXID, Prestashop, Wordpress, SynergyCMS), which enable to create particularly high quality and long-term e-commerce solutions. We are constantly looking for innovative e-commerce solutions both in Lithuania and in the world, to offer our clients the most effective solutions. The developed e-commerce solutions come with a 1 year warranty. We work together with the client's marketing department in line with the ready e-commerce strategy, so we can offer the most optimal tools and solutions. Elaborating the working arrangements and unique project management for already more than a decade, we will develop your e-commerce solution an efficient and high quality. We are true professionals in the field, and it is our works that confirm this, not only the theoretical courses attended or foreign books or articles read. We have achieved quite a lot, and we have helped quite a few well-known and solid companies to develop successful e-businesses. You'll find the examples of works among our other projects. Contact us already now and ask for the e-commerce solutions prices. Programming of additional functions/Advanced programming. 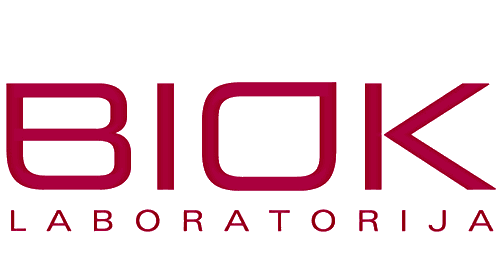 Biok Laboratorija - one of the largest and most successful cosmetic manufacturers in the Baltic countries www.biok.lt. We have been successfully cooperating with Pokermania.lt, selling poker and billiards merchandise. We are cooperating with Aldisa UAB, which offers a wide range of office stationaries. For InfoEra UAB, we have created a new e-shop www.gps.lt. We cooperate with the company Piko valanda UAB, which is mainly involved is publishing, as well as wholesale and retail trade. We have developed a website for a company Poleta UAB that sells furniture and interior fittings. Since 2012, we have been working with the brand Lino kambarys, the company producing and selling unique fabrics of linen. Update of the largest food e-shop in Lithuania www.1822.lt (web and mobile versions) owned by the Čili Holdings. We are working with one of the first private vet companies that have been supplying veterinary medicines and products to the Lithuanian market. Since 2013, we have been cooperating with the company Elevita, which is mainly involved in cosmetics and perfumery wholesale and retail. 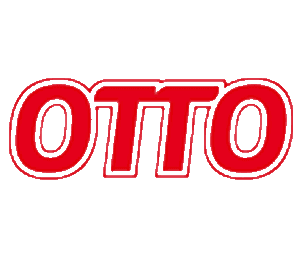 Since 2012, we have been successfully working with Bermeta UAB, the official representative of the German trading company OTTO Group Schwab Versand GmbH in Lithuania. This is a shopping center and outlet of branded goods which is selling shoes, clothes, accessories and other goods of well-known brands.